Five-time Olympian and 2017 Show Jumping Hall of Fame inductee Anne Kursinski, riding Market Street, Inc.'s Caspar's Lasino, demonstrates her tips and exercises for riding without stirrups and discusses the many benefits of going without your stirrups while you ride, including improved balance. 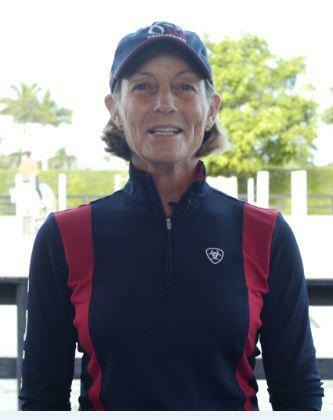 Anne Kursinski is a show jumping legend. The five-time Olympian earned two team silver medals—with Eros at the1996 Atlanta Games and with Starman at the 1988 Seoul Games, where she also tied for fourth individually. She was perhaps best known for her incredibly consistent brilliance with Starman, her mount for three FEI Nations Cup™ wins in 1987, the team silver medal in Seoul, and her Grand Prix of Aachen win at the CHIO in Aachen in 1991 – making her only the second woman to ever win the prestigious event. Kursinski also was the first American rider to win the Grand Prix of Rome (1983) aboard Livius. She also has been a member of three U.S. Teams for the FEI World Equestrian Games™(WEG). She was inducted into the Show Jumping Hall of Fame in 2017.